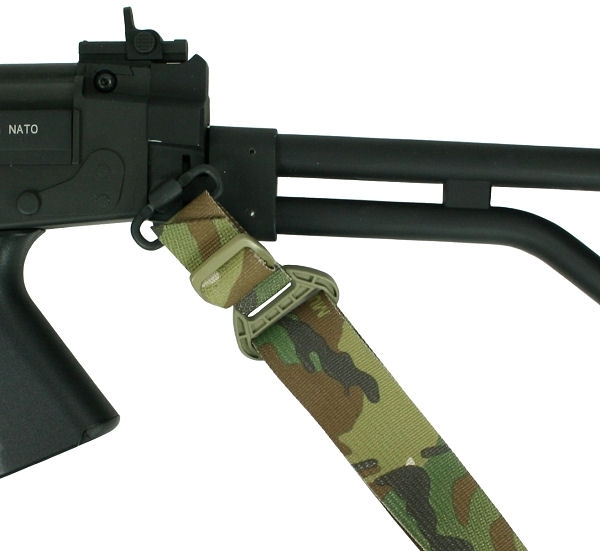 This sling is designed to fit long guns with existing side mounted front and rear sling swivels or loops, such as the Steyr AUG, Benelli shotguns or the FN FAL Para shown above. Note: No front or rear adapters are provided. 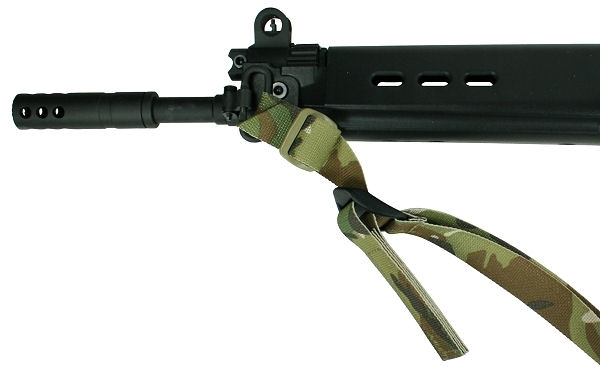 You must have some form of side mounted front and rear sling loops/swivels for this sling to mount to.